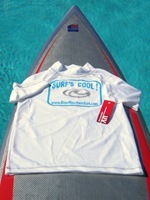 Blue Mountain Surf is now using Ticketbud.com to make event reservations and sell services to our customers. Ticketbud is simple to administer and easy for our customers to use. If you are promoting an event which requires registration and fees, be sure to check out TicketBud.com ! This entry was posted in Product Reviews on August 31, 2009 by Mike Sturdivant. 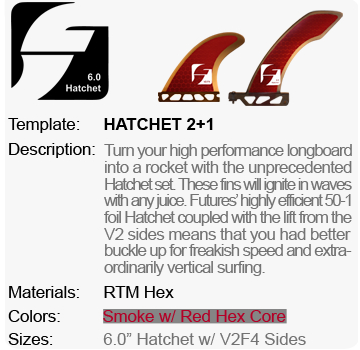 Here are two of Blue Mountain Surf’s favorite new products: the Future hatchet center fin and a new vector foiled longboard sidebite.Â The center fin has been available as a custom handmadeÂ fin for a few years but until now it came at a hefty handmade price. 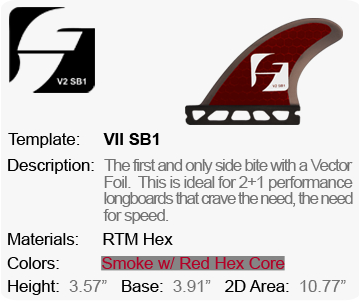 Now in regular production, everyone will have the chance to launch big airs on their performance longboards! 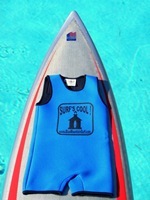 Review notes: Well, I have had several months to try out my new fins. I have waited to comment as we have had only a few good sized swells since Spring. I am glad I waited, because initially I was slightly disapointed. On head high waves, the hatchet was a bit slower than my usual 7 inch cutaway. On several sessions, I quickly changed back to my usual setup and scratched my head wondering what was gong on. Finally Hurricane Bill sent us some real juice and after getting my fill with the 7.5 and vector sidebites, I made the switch. Let me start by saying I was loving the session already. I had not missed a single drop and was feeling confident and in control. When I put in the hatchet it felt like I had a new suspension. My turns were smoother, a tad bit more drawn out. My snaps were still strong off the top but now I was not over-rotating them, I had more control, and still had plenty of speed! The near double overhead and barreling conditions brought this fin to life! So now I plan on using the hatchet whenever it’s over head and a half. Bill was just the second storm to make landfall this season. I hope to report back soon! This entry was posted in Product Reviews on January 28, 2009 by Mike Sturdivant.